Aquaclean are the main importers for Nilfisk-Alto, Ghibli & Falch cleaning equipment in Ireland. We are based in Dublin and our vast range includes: steam cleaners, pressure washers, power washers, vacuum cleaners, carpet cleaners, floor care machines, sweepers and a large range of detergents and janitorial supplies. We provide sales, service and spare parts for all brands of cleaning equipment. We stock quality steam cleaners for both the domestic and commercial market. Our high performance steam cleaners are suitable for multi-purpose cleaning / disinfection tasks both indoors and outdoors. Our selection of power washers includes mobile or stationary, hot or cold water, petrol or diesel pressure washers. Our products cater for both the domestic and industrial markets across Dublin and Ireland. 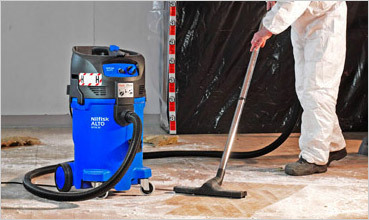 Nilfisk and Ghibli vacuum cleaners and hoovers for both the industrial and domestic markets. Our range includes silent and mobile, wet or dry, high performance vacuum cleaners and hoovers.